Come and enjoy the old-fashioned winter that you remember. The snow stays white, you can see the stars, and skating on the floodlit, lakeside rink is a toe-tingling pleasure. 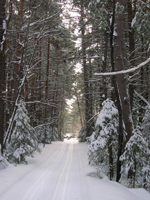 Our own cross-country ski trails are groomed and track set, if that is your sport. Return to the warmth of your own fireplace in our most comfortably furnished cottages and suites. Enjoy yourself indoors in our recreation room, with billiards, table tennis, and fooseball. We have over 14 km of groomed and track set ski trials on site. Two of our highlights are the Look Out Trail with its high vantage point overlooking Oxtongue and the Rookery Trail that skirts a Heron Rookery with the huge nests very visible from the shore of the pond. 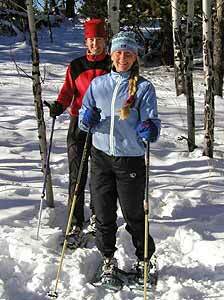 You can rent cross country ski equipment from Algonquin Outfitters who have a huge variety of cross country skis and boots, for rent by the day or week. 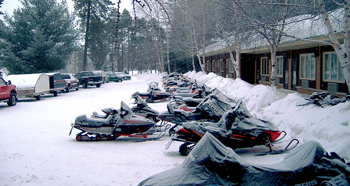 We are located on Trail 74 of The Muskoka Snowmobile Region. 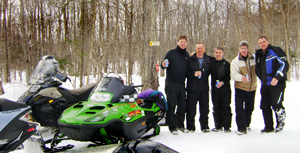 Blue Spruce has always been a big supporter of the Algonquin Snowmobile Club. 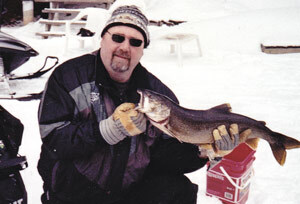 Scott's father Jack was a founding member and Scott has been on the executive since 1986. 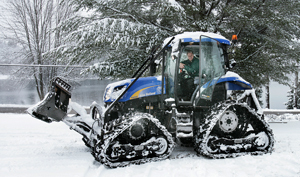 The groomer is maintained in our shop; as such, we are guaranteed of groomed trails to our front door. 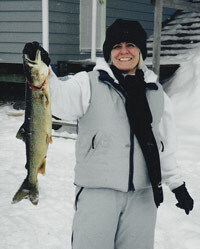 Our staff is some of the most knowledgeable in the industry. We are Snowmobilers!! 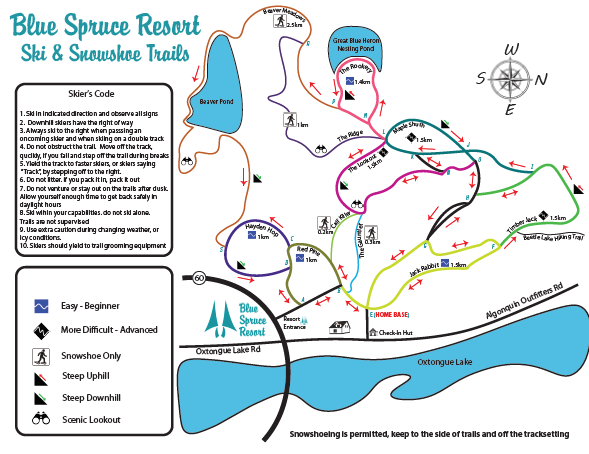 Trails maps are available on site. For those who love to walk or hike, snowshoeing makes this possible even when there is 2 feet of the beautiful white stuff on the ground. 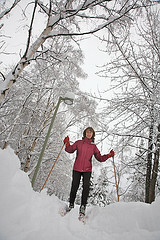 Snowshoeing is permitted on the sides of our Cross Country Ski Trails and the new 5 km. 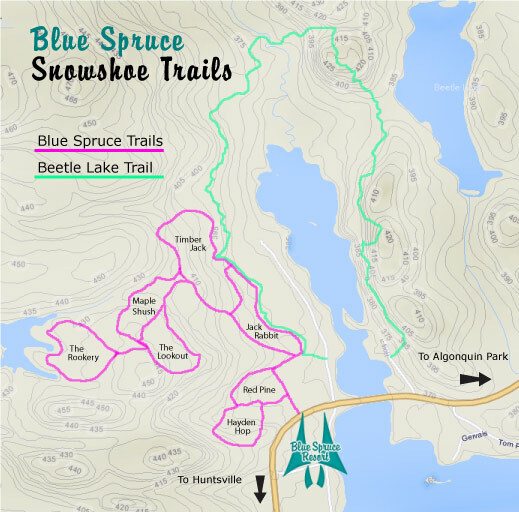 Beetle Lake trail that winds its way around the north end of Oxtongue Lake is available from the Resort. Ragged falls is beautiful in winter with its 50 meter elevation and massive ice formations. 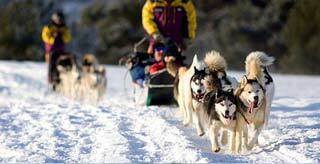 The more ambitious will find the trails in Algonquin to be most rewarding with trails rating from novice to expert. Snowshoe rentals are available next door at Algonquin Outfitters. Try your luck at fishing. 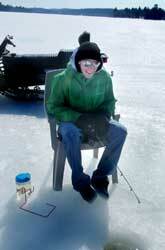 Fish hut rentals are available. 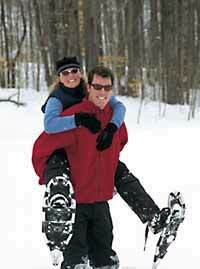 Snowboarding & Downhill Skiing are available at Hidden Vally Highlands Ski Area which is only 20 minutes away.